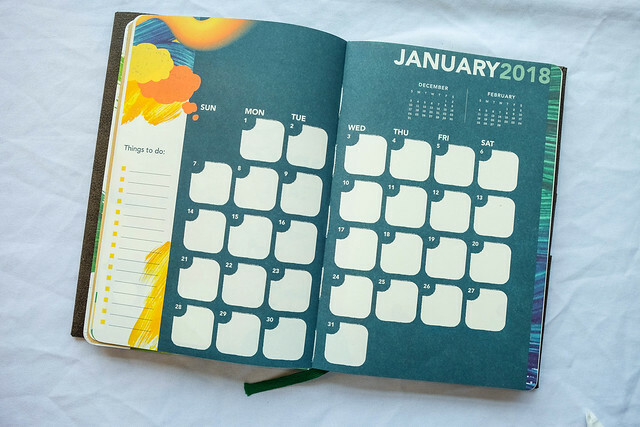 It's the Christmas season that kicked in since last September and I bet you already said to yourself, "I won't get a planner for this coming year because I barely wrote on the last planner I redeemed." Yes? 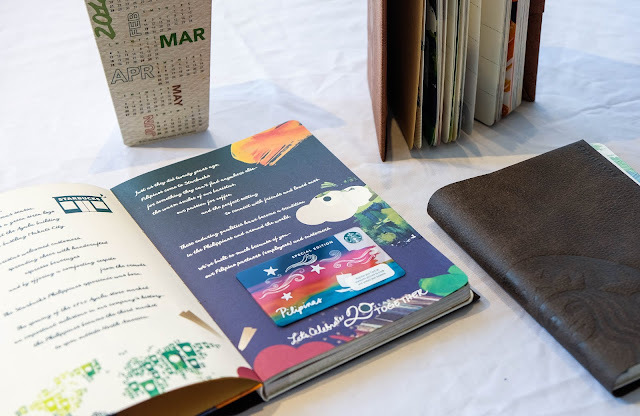 Because Starbucks Coffee is celebrating their 20th year here in the Philippines, they made sure to treat their fans with something close to their hearts: a special edition Starbucks Kape Vinta card in every planner that can be activated and used in stores. This card is not for sale in any Starbucks branch and is not preloaded with cash credits yet. 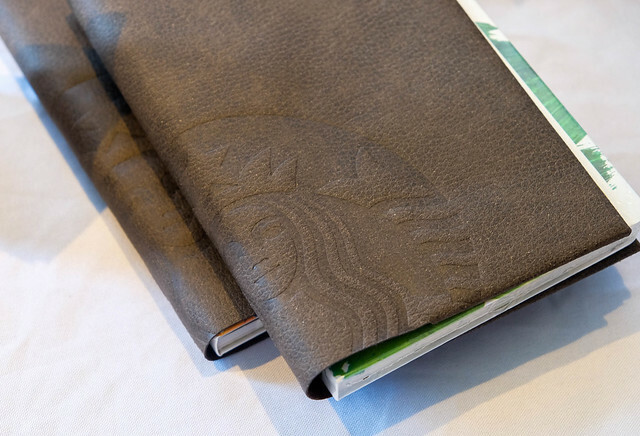 For this coming year, the planners are encased in real leather sleeves to protect the planner. (Especially when you're the type to spill coffee on your planner while working! lol) The leather comes in a light and dark brown tone. 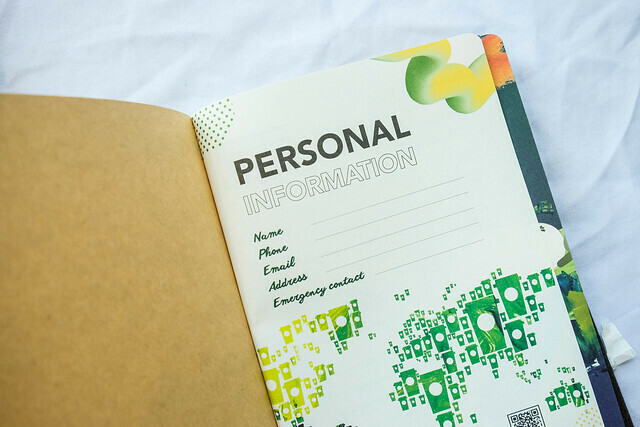 Aside from this one, you may also choose the colors of the planner designs: blue and green. 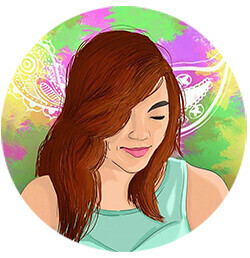 The design of the cover also took inspiration from the colors of the new Kape Vinta card. 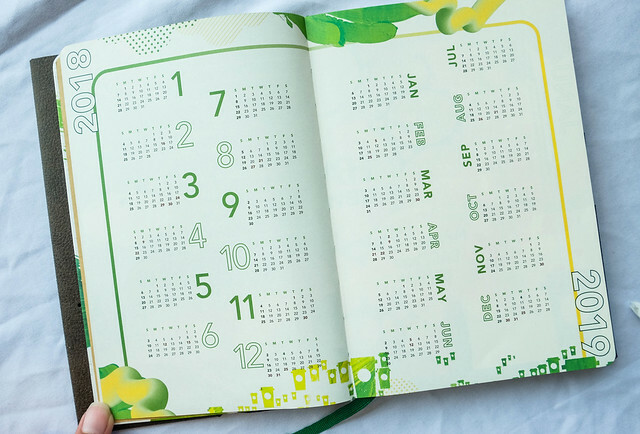 A stencil that also doubles as a ruler and a desk calendar comes with every redemption of Starbucks Philippines Planner for 2018. 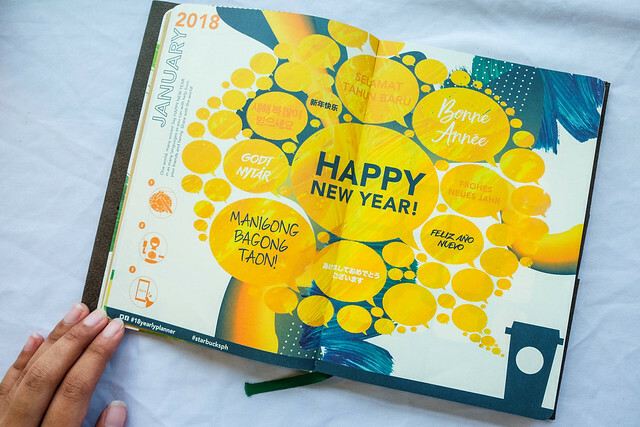 Feeling extra to design and be creative with your planner? 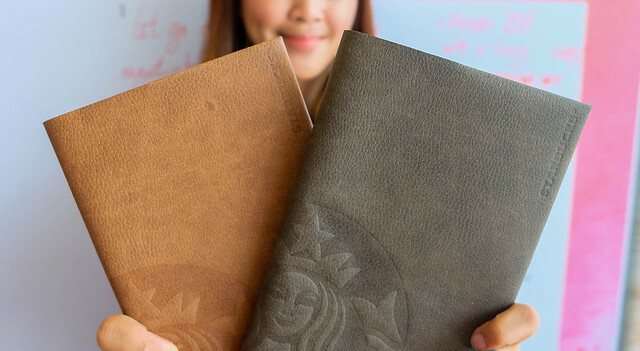 Use the stencil and unleash your creativity in jotting down those important details in your Starbucks planner. 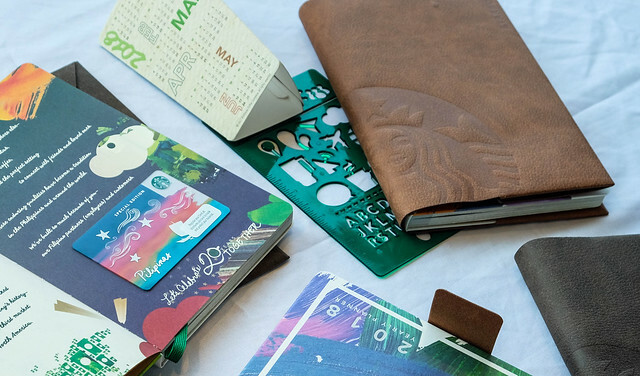 Little did you know that your penchant for redeeming Starbucks planners every year is not just pure bragging rights to your pool of friends. 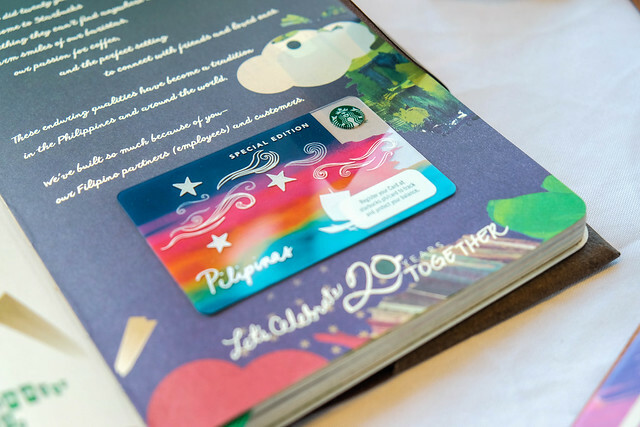 For every redeemed planner also comes a donation to Starbucks Philippines partner NGOs: Teach for the Philippines (TFP) and The Philippine Educational Theater Association (PETA). 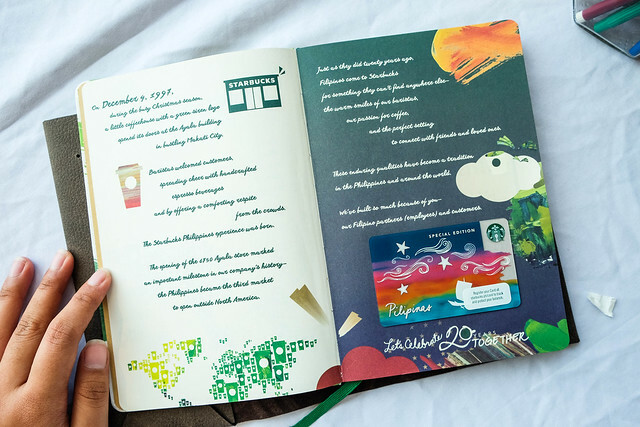 The biggest revelation during the launch of the Starbucks Philippines Planner 2018 is that twenty lucky Starbucks fans who own the Kape Vinta Starbucks Card will win 365 complimentary Grande handcrafted beverage for the year 2018. THAT MEANS ONE FREAKING STARBUCKS DRINK PER DAY FOR ALL YEAR ROUND!! Starbucks customer can earn a raffle entry when they load their Kape Vinta Starbucks Card with at least P300 at any Starbucks store in the Philippines and registering the Kape Vinta Starbucks Card to his/her My Starbucks Rewards account within January 1 - 31, 2018. 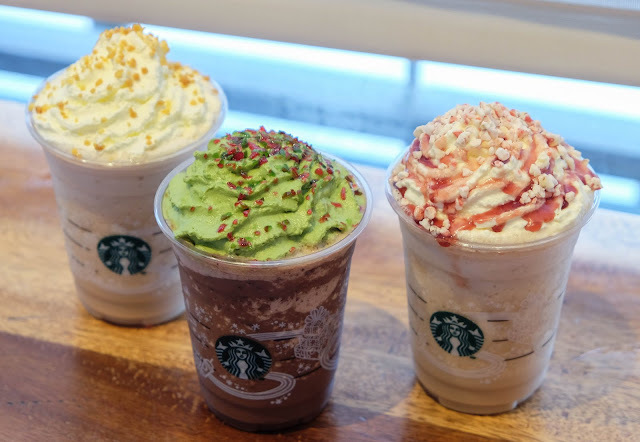 Just in case you feel like you have a little to no chance of getting dibs at the Starbucks for a year prize, Starbucks Philippines will also choose twenty lucky customers who will win 30 complimentary Grande handcrafted beverages that will be credited to their My Starbucks Rewards account. Same mechanics apply to qualify for this prize as well. Full conditions of this promo are displayed at www.starbucks.ph/promotions. Starting November 2, 2017, a customer can avail a Starbucks Christmas Traditions Promo Card with no purchase required. 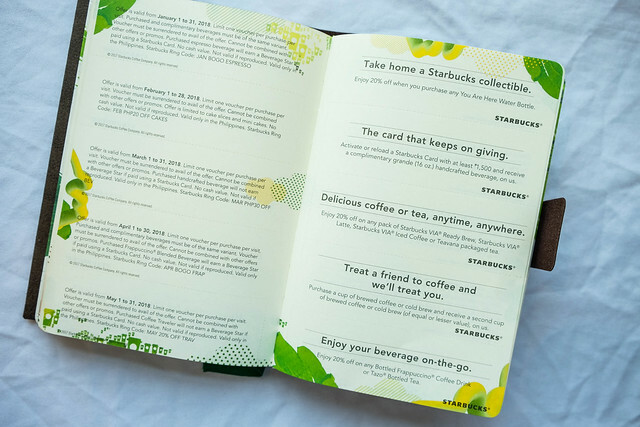 Holder must accumulate a total of eighteen stickers (9 stickers from the Holiday Featured Beverages and another 9 stickers from any Starbucks Core Handcrafted Beverages) to redeem one Limited Edition Starbucks Coffee 2018 Planner.